The hut in the foreground is Bergeries de Tragette (1520 m; Bergeries d'E Traghjete), Monte Renoso (2352 m) is in the background. 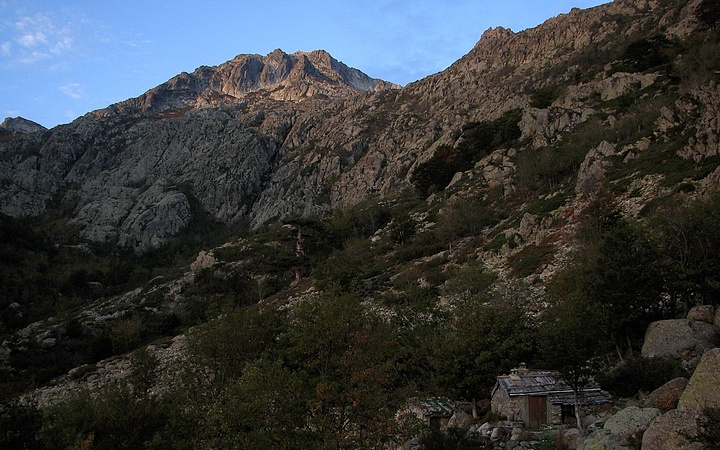 There is an alpine variant of the GR 20 trail that takes off from E'Capannelle and climbs Monte Renoso, then joins back the GR20 basic route at Plateau de Gialgone. See the 11th stage of the GR20 for a map.